Upon graduation in 1996, they moved to Austin where Dr. White started practicing with Longhorn Dental. 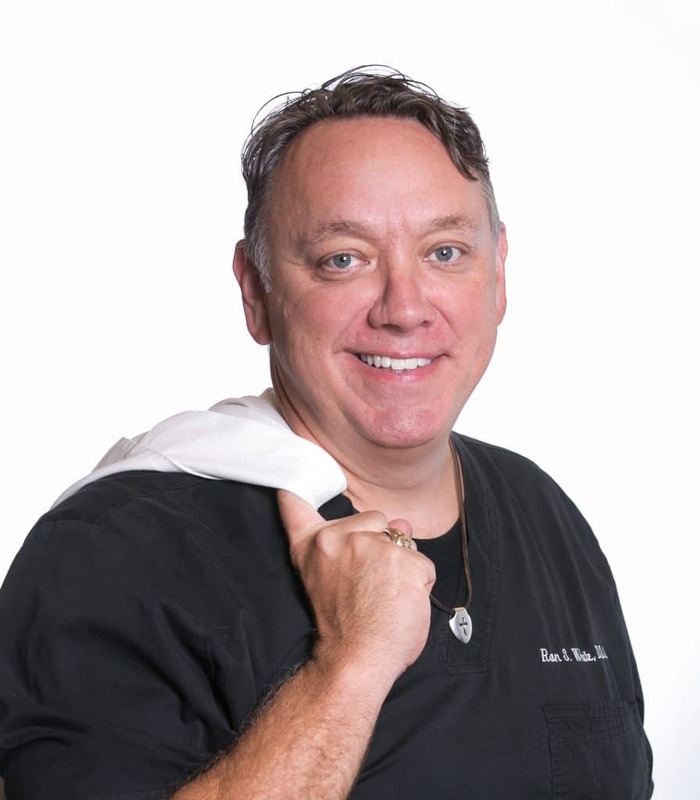 In 1999 Dr. White established his private practice in Dripping Springs. While in Dripping Springs, Dr. White and Andrea have been blessed with a daughter Grace and a son Andrew. While in Dripping Springs, Dr. White has become well-known for his community service. He has served as President of the Lions Club, and the United Methodist Men. Additionally, he was Chairman of the Founders Day Commission and the Wild Game Dinner Committee. He was also appointed to the City’s Parks Board and the Chamber of Commerce Board. ​Currently Dr. White and Andrea have turned their attention to the ministry at the Burke Center for Youth where he is serving as a mentor to one of the male residents as well as spearheading the Burke Rally fundraiser. Among his many hobbies, barbecuing, hunting and singing are his favorites. He is lead singer of The Carport Casanovas, often featured around town at restaurants and special events. But most important to Dr. White is his faith. He strongly believes that dentistry is a ministry that God has called him to. He and his team feel so blessed to be able to continue to serve God in their new beautiful state of the art facility!